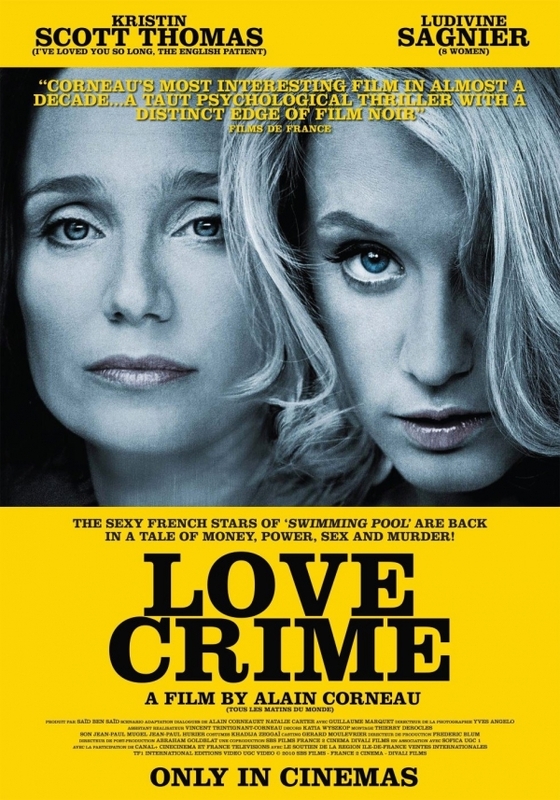 They’re speaking French in “Love Crime,” but in just about every other respect this a decidedly non-Gallic movie, a formulaic “thriller” that has Hollywood’s thick fingerprints smudged all over it. At least this effort — the final film from the late director Alain Corneau (“All the Mornings of the World”) — can boast of bilingual thesp Kristin Scot Thomas in wicked witch mode. That, at least, is something to see. Scott Thomas plays Christine, a vice president at a French multinational company. She’s suave, well-heeled, charming (when it’s called for) and utterly ruthless. Always at her elbow is the prim, proper Isabelle (Ludivine Sagnier), who seems not to have much personality of her own. Utterly capable and equally nonglamorous, Isabelle appears to live vicariously through her older boss, happily diving into whatever chore needs doing and observing –with just a hint of yearning — as Christine beds their associate Philippe (Patrick Mille).